1189 Commercial Properties in Nsw are listed in 9 categories. We have 344 Industrial Warehouses for Sale , 266 Development Lands for Sale , 248 Offices for Sale , 237 Retail Shops for Sale , 80 Hotels and Leisure for Sale and 49 Other Commercial Properties for Sale . This dual level shop has been previously utilised as a restaurant on the ground floor and education/cooking classes on the first floor. The shop has had no expense spared with A class fit out suitable for fine dining restaurant downstairs and corporate open plan office style fit out upstairs. FEATURES: 190sqm Internal over two levels. Plus Large outdoor alfresco area. Internal staircase plus separate entry for each level. Abundant natural light with floor to ceiling windows. Exhaust canopy Grease trap Approval for restaurant. Food compliant kitchen. Excellent location under 'Ultima' Buildings on right hand side of reception entry. Potential to be leased separately to two tenants. PRICE: $760,000 + GST if applicable. For more information contact exclusive leasing agents Towers Francis Property. 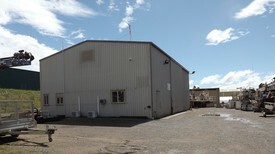 Building area 117 m2 plus rear concreted yard Small air conditioned office approx. 12 m2 High ceilings Wide roller door access front and rear 3 car parks Available now View by Appointment 7 Days! For Lease: $1,400.00 + GST per month For more information, or to arrange an inspection, call Nick Syrimi today at Ray White Commercial (NT) Visit our website rwcnt.com.au to view all our property listings! This unique commercial opportunity in Bullaburra has a land area of 712m2 with a single level brick and tile complex (approx. 220m2) which consists of 4 x ground floor retail / office spaces. 3 premises are currently leased to long term tenants with 1 currently vacant. Kitchens and toilet facilities for each tenancy plus a large hard stand car park. Only 50m to the Great Western Highway and station, this site has the potential to further develop STCA. 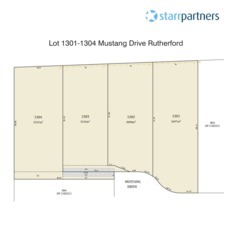 Located at the western end of Mustang Drive is this limited release of 4 industrial blocks. This busy Hunter Valley location is nearby to major transport hubs, has flexible zoning and the level sites make this an ideal location for users such as mining support, engineering and many more. Lot 1301 (3,697m2) Lot 1302 (3,090m2) Lot 1303 (3,143m2) Lot 1304 (3,767m2) These lots won't last long! One of Katoomba's Blue Chip investment properties is now on offer to the astute investor. A solid brick street level building with basement set on approx. 292sqm, side access to the rear where half the block is undeveloped. Tenants for 29 years, they have over recent times completed major refits and improvements and have lease options in place till 2026 with solid annual reviews. Currently showing approximately 5.9% gross return. Da Approved Development Site Major Price Reduction Con..
Starr Partners are pleased to offer for sale 1 Lorikeet Street Aberglasslyn. 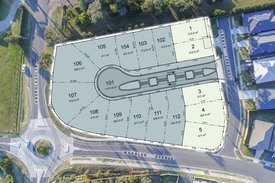 This site is superbly positioned on a corner location in a high growth area of Maitland. Very rarely do quality DA approved sites come to the market, so be sure not to miss this one.. • DA approved 16 lot integrated residential subdivision • Lot sizes ranging from 312m2 612m2 • Moments from major shopping centre's, local schools and transport • DA approved plans available on request For further information contact our team today. 440m2 Approx - For Sale Or Lease - Commercial Zoning, Cbd Coffs Harbour Expressions of Interest c..
After nearly 50 years with the same business operating on this site, the property is becoming available for you to lease or to purchase with vacant possession. This site has operated as a mechanical garage in the CBD for the whole period with the current owner having been on the site since leaving school 50 years ago. 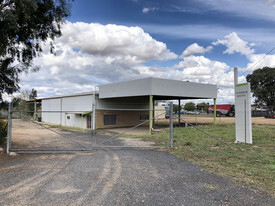 This centrally located site features a concrete block industrial style building which with Council approval could be converted in to a showroom, warehouse, offices, retail or a medical centre or redeveloped into your desired end use. The building is approximately 440m2 sitting on 758.8m2 of land zoned B3 Commercial Core. It has parking for several vehicles at the front of the building and has the benefit of a very large free council car park opposite with untimed parking. It is on the Western side of the pacific Highway and is in a walk to the City centre position with all its cafes, shops, banks and Post Office. There are several medical centres and specialists nearby along with a veterinary surgery next door. The current owner is seeking to retire and is offering the property for either for purchase or For Lease and is inviting expressions of interest closing 4:00pm Tuesday 30th April 2019. Call Steve Little on 0408 5612 529 to arrange an inspection or further information. Purchase contract may be subject to plus GST. Just minutes from Morisset CBD, this remarkable property really has to be seen to be believed! Sitting on a near level 6 acre (2.43Ha)approx parcel with two street access, this sensational residence is on a grand scale rarely seen, with a sweeping driveway leading to the fabulous arrival portico then an equally impressive entry foyer with it's soaring ceilings and lots of natural light. The specifications of this modern and luxurious residence are something to behold: Spacious formal entry Seven executive style bedrooms each with built in wardrobes and marble finished bathrooms Two visitor bathrooms Enormous living areas that flow onto a huge rear deck Massive kitchen with every conceivable appliance Commercial double glazed windows throughout Full security system with 12+ cameras. In addition there is a self contained, separate private quarters with lounge, full kitchen, gym and bedroom with expansive walk in robe and ensuite. Downstairs there is parking for eight cars, enormous workshop areas and masses of storage under the home. There are numerous sheds, dam and established gardens. Agents' Comments: "Land offers major future development potential due to transition zoning". Contact: Peter MacIntyre 0404 885 411 or David Lyons 0416 259 791 Disclaimer: Every precaution has been taken to establish accuracy of the above information but does not constitute any representation by the owner or agent. Information is gathered from sources we believe to be reliable; we cannot guarantee its accuracy and interested persons should rely on their own enquiries. Perched perfectly in a central business hub and less then 10km from Sydney CBD you just can't turn a blind eye to this excellent opportunity to invest in a growing shopping strip. Currently leased with a long term tenant yielding an annual income of approximately $61,800 plus GST with a well established bakery business (NB. Business not for sale, building only). Offering 125m2 (approx.) on the upper level with ideal commercial space consisting of bathroom, kitchen and separate entrance door from the street. The ground floor offers a retail shop front facing Great Nth Rd and also offering 125m2 (approx.) of retail space. Main features include; 2 bathrooms Ample storage Mezzanine level Rear lane access Close to amenities Surrounded by established business Grease trap Yield is 4.9% approx. Outgoings: Tenants pay 100% waste removal, 100% Council Water rates, 50% building insurance. NB. Some photos used in the advertising (mainly the latter 4) are older photos from the previous occupant. They are used to show the property in a different light for potential buyers. For further inquiries or to arrange a private viewing please contact John Shalala on 0405 535 611 or our sales staff on 9747 2222. Prime Position, Main Road Exposure. $360,000 buy or $25,000 p.. Affordable floor space clearance sale. Brand new warehouse offering tax benefits. Best B7 bulky goods zoning. Back and front high roller door access. Ventilation. Total ground floor space 240m². Main artillery Mandalong Road exposure. Ideal end unit position with side yard storage. Expressway interchange and railway station close. Agents comments: Investors and owner occupiers look no further. Disclaimer: Every precaution has been taken to establish accuracy of the above information but does not constitute any representation by the owner or agent. Information is gathered from sources we believe to be reliable; we cannot guarantee its accuracy and interested persons should rely on their own enquiries. 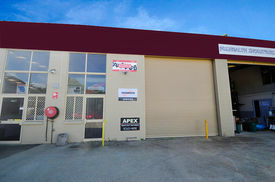 Mount Thorley Industrial Opportunity $485,000 + GST if applica.. The industrial main shed measures 18.5m x 12.5m or 231 Sq.M and contains amenities, office and mezzanine level. The second shed is 14m x 6m with a skillion. Property is securely fenced and surrounded by numerous established heavy equipment businesses in the Mt Thorley Industrial Estate. land Area 1930 Sq. 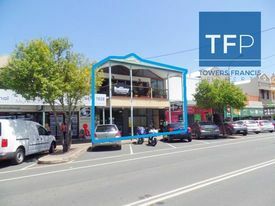 M.
This is an excellent opportunity for investor or owner occupier to secure a main street retail shop in the centre of Murwillumbah's Town Centre. Upstairs is leased to the iconic 'Balcony & Cafe Restaurant' who pay $23,568 per annum plus a proportion of the buildings outgoings on a 3 year lease. The ground floor is currently vacant and has been stripped back to a shell ready for the next tenant or owner occupier. The ground floor was previously leased for $80,000p.a + outs + GST ($266 per square meter). FEATURES: 600sqm approx NLA (300sqm ground floor plus 300sqm first level). Well maintained building. Located directly in the centre of the towns retail trading strip. Parking onsite for up to 6 cars. Two street frontage with rear loading dock. PRICE: $1,200,000 O.NO For more information contact Towers Francis Property. Join Bunnings, Harvey Norman, Super Amart, and all the big national retail brands in this highly sought after commercial and retail precinct. This property is positioned in easy to find location with instant street appeal. The offering consist of a two level, modern tilt slab building with parking at the front door. FEATURES: 220sqm over two levels (129sqm on ground, 91sqm first floor). Professionally fitted and currently configured with small ground floor showroom and reception area. Air conditioned Prominent signage for your branding. Full male and female amenities. Kitchenette and lunch room. Board room. Abundant natural light with windows on both levels. Flexible fit out with clever mix of both open plan and private offices. Abundant onsite parking for exclusive use. PRICE: $525,000 + GST if applicable. To arrange an inspection contact exclusive selling agents Towers Francis Property. Dont miss this opportunity to secure your very own professional office suite in 'Kingscliff Central'. Office suites in this building are tightly held and rarely available for sale or for lease. 'Kingscliff Central' is host to a myriad of professional and corporate businesses including but not limited to; national banks, planning and certification, design, financial services, Government funded and many other corporate office businesses. Suite 18 is located on the first floor of the building with attractive office entry for clientele. FEATURES: 65sqm internally 2 designated secure basement carparking spaces for exclusive use. Current layout supports two private offices/consulting rooms, open plan area and reception. Lift access to all floors and parking levels. High speed P2P internet available with great priced plans. High quality building in excellent condition. Landmark easy to find building. Perfect for professional image for your business. Air conditioned. Internal kitchen. Toilet amenities on each floor of building. PRICE: $385,000 (GST not applicable). For more information and to arrange inspection, contact exclusive selling agents Towers Francis Property. Wallaroo Hotel Investment Opportunity $420,000 + GST if applica.. The Wallaroo Hotel in the rich rural community of Coolatai can only be described as "perfectly appointed", yet not lacking any of that bush pub charm. Tidy, newly renovated and full furnished, this hotel has just been leased for 5 years and provides an excellent investment opportunity. Coolatai is a one pub town centraly located north of Warialda , north east of Moree , north west of Inverell and yet so close to the Queensland border. Features include: The main bar with stunning ironbark flooring, matching bar tops, raked ceilings with exposed cypress rafters and a 4 tap Glycol bar system, is connected to a new spacious cool room. The sports bar features a pool table, jukebox, projector with a 2m screen and a dartboard. It leads out onto a shaded 50sqm deck facing the east. A perfect afternoon/evening bbq area with ample tables and chairs. Beside the bars with the same level of appointment is an area which could be used as a gaming room or a small shop. Then to a perfectly placed spacious dining room able to comfortably seat 30 people with a real country atmosphere. The commercial kitchen has an abundance of fridges and freezers, ample stainless steel bench areas, large oven, deep fryer and cooking facilities. Accommodation includes 5 twin share rooms with large bathroom/toilet facilities. The residence is 2 bedroom with a large dining room, living area and bathroom. Split system air conditioning keeps the while building at a comfortable temperature. 12kw solar power system Satellite TV Water is supplied by a bore and approx 14,000 gal of rainwater tanks Licence hours from 5am to 12am (Mon to Sat) and 10am to 10pm (Sun) Established gardens and a tar sealed parking area School bus past the front door The hotel is situated on a 2,023m2 block with an adjoining vacant title suitable for a caravan park allowing a total of 4,046m2. Wallaroo Hotel caters for sporting groups, reunions, weddings, campdrafts, annual vintage tractor pull, annual Motorbike Pony Express and the biennial Quilt Craft Show. This was a freehold, family run establishment which has been tastefully improved for the last 8 years and the owners are ready to move onto another challenge. Currently leased on great terms with a good return on investment, this hotel provides a great opportunity to the astute investor lease is negotiable if purchaser wishes to operate hotel themselves. Outstanding Industrial Passive Income Investment Expressions of Interest c..